?This volume documents how families, communities and some groups (single men, young ‘scarce’ women, parents) adapt and adjust to recent demographic shifts in China and India. It discusses how demographic change interacts with other processes of change, including changes with respect to economic development and globalization, gender, class, caste, families, migration and work. 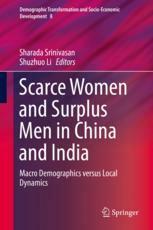 The chapters offer micro-level analyses contextualized in larger processes of change and push further existing understandings of the consequences of the demographic imbalance between men and women in China and/or India, particularly from a gender perspective. As such this book will be of interest to scholars and students in population studies, sociology, international development, gender studies, and Asian studies.